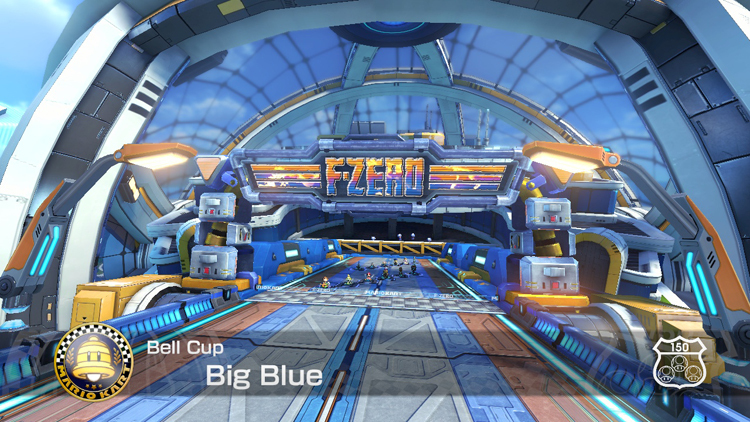 Mario Kart's second DLC pack has released finally and with it come eight awesome courses. I wanted to gauge the interest and appreciation of these various courses around here so I thought I would put on a Survivor Poll to determine the proper order of things. 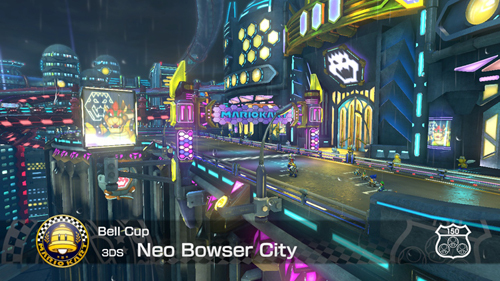 For more discussion on Mario Kart 8, visit it's Discussion Thread. This phase of the final chapter of the Survival Poll is live until Thursday, May 14th, @ 9:59 PM EST. Unlike in other Survival polls, in this last round please STILL vote for the LEAST favorite of the remaining options and post in BOLD your choice below. It was quite a photo finish for the blazing Big Blue but alas it made its way out and Wild Woods stayed in. Does this mean we have a clear winner already? Perhaps or perhaps not. 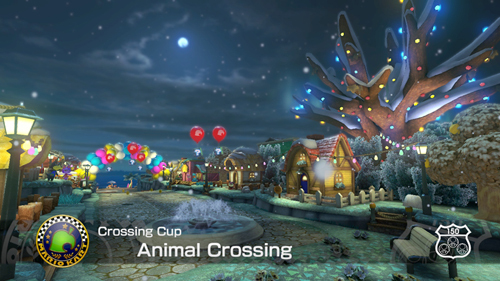 With Big Blue out of the way only two courses remain; the Crossing Cup's Wild Woods and the Bell Cup's Ribbon Road. The former is a fun and creative romp through a small community living around a giant tree while the other is a masterfully imagined re-make of a level found on the Game Boy Advance version of Mario Kart. Again, please STILL vote for the LEAST favorite of the remaining options and post in BOLD your choice below. Again everyone, please vote for your LEAST favorite. Meaning the option with the LEAST votes will be the 1st place winner of this Survivor Poll series. That's a tough one but I think I'll have to go with this. 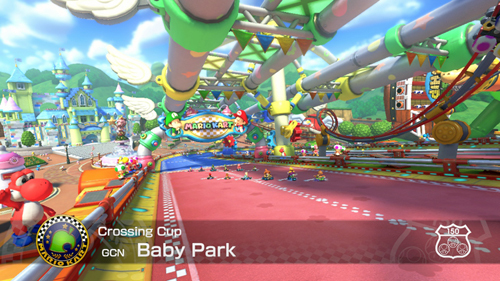 I love it due to it working well with 200cc and the sense of speed is really great... but Ribbon Road is pretty fantastic and the overall look of it is just great. Crossing Cup - Wild Woods is too wild to stay the course. Ribbon Road is a masterpiece. I really like Wild Woods, but Ribbon Road is too perfect. Crossing Cup - Wild Woods gets my vote. It's a fun, whimsical track, and I like it's airy theme music. Unfortunately, it's not my favorite course from the new DLC pack. That honor goes to Ribbon Road. 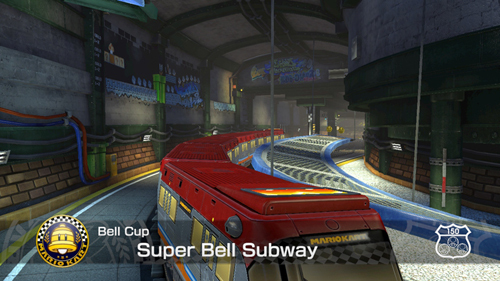 Nintendo did an awesome job remastering some of Super Circuit's courses by preserving their unique aesthetics while going the extra mile in upping their overall complexity. This redesign effort is very appealing to me, and it's just a great track to race on. Wild Woods. Could have voted for either track really, and I tend to prefer nature themed stages, but when it comes to racetrack layout and design Ribbon Road is the more accomplished of the two. It's kind of amazing to see Crossing Cup - Wild Woods nabbing so many votes. Is it that clear-cut of a decision between the two? Wild Woods. 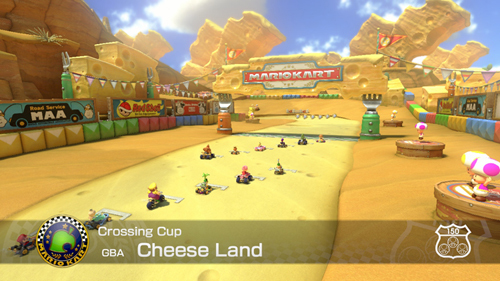 It's an excellent track...one of my favorites in the new pack (and possibly overall), but Ribbon Road oozes with charm, and it's just a more fun track to race on. I'd rather have a new track win than a retro track, but I guess there's no stopping Ribbon Road. Ribbon Road is barely a retro track though. So much of it is new. Indeed. It's retro only in vague left-right turn order and general idea but there's so much NEW in it that it really is a new track.